After spending over 40 hours researching and testing six top residential pressure washers, including four electric models and two gas models, we found the electric Ivation – IVA-9175L to be the best pressure washer for most homeowners. It has an incredibly well thought-out design and is packed with features to make light- and medium-duty cleaning jobs more fun to do. For more heavy-duty cleaning, we liked the gas Generac – 6923.
Who needs a pressure washer? We spent a dozen hours researching pressure washers. to decide on our six finalists to test. Ultimately, we were able to narrow our selection down to the top six finalists. In addition, we spent over 30 hours testing all the units over a period of two months. Thankfully, we had many neighbors volunteers for free pressure washer cleanings in their backyards. We spoke with multiple professional pressure washing business owners in the Southern California area, including Los Angeles and Orange County. This was both interesting and informative and gave us insight into the issues that experienced professionals deal with on a regular basis. One of the more interesting conversations we had was with Brett, an experienced pressure washer with The Pressure Washing Guys in Orange County. We discussed things like city regulations, methods for removing tough stains, detergents and chemicals for specific stains, and when to perform your own cleaning vs. when to hire out a professional pressure washer. These guys run with equipment that cost tens of thousands of dollars — but of course, these commercial washers are much more powerful and clean faster than any home model. Brett told us that many of their jobs involve cleaning a home where the homeowner used the wrong detergent and only made their mess even worse. While there are commercial pressure washers used by pros that will set you back tens of thousands of dollars, we focused only on units that a typical homeowner would use — meaning units you could buy at your local hardware store. We read guides prepared by sources like Home Depot, Lowes, Consumer Reports, and Popular Mechanics, and determined which criteria was most important when selecting the right tool for the job. The simplest way to categorize pressure washers is by their PSI, or pounds per square inch, rating and fitting them into three groups. 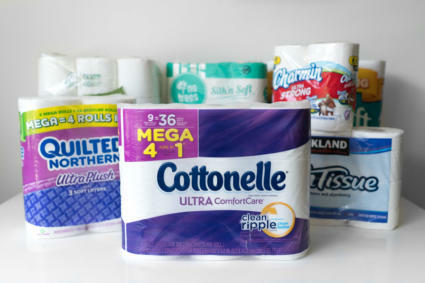 Higher PSIs usually mean higher price tags and better cleaning power. We searched retailers, review sites, and discussion boards to narrow our selection of machines. 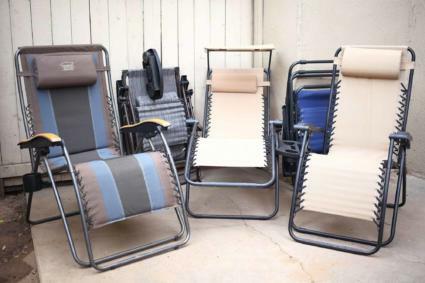 We thoroughly read actual user reviews of each product and focused our selection to products found on Amazon and Home Depot with overall ratings of 4.0 or better. The bulk of pressure washers we chose would be suitable for light cleaning jobs in the backyard and house exterior, and for occasional cleaning jobs. We also selected a couple of gas-powered models to test for situations when more cleaning power is needed. We like to think we are pretty mechanically inclined, but pressure washers were just not completely straightforward when we started testing them. Owners should fully read the instruction manuals to prevent damage to the unit, the cleaning surface, and to prevent bodily harm. There are lots of usage and storage quirks that slightly differ from unit to unit, so even if you’ve used one before you’re better off not skipping the manual! To use your washer without damaging it, you need to use a water supply that meets or exceeds the water requirements of your pressure washer. For example, if your unit is rated at 2.5 GPM (gallons per minute), the hose you hook up must supply a minimum of 2.5 GPM to prevent damage to the machine’s pump. Ideally, you want a source with even greater pressure to account for irregularities and pockets of air. The order in which you set up the pressure washer is important to prevent damage to the machine. The same applies to turning it off and prepping for storage. Attach the water supply hose to the machine. Connect the high-pressure hose to both the pressure washer and to the spray wand/gun. Turn on the water supply, but not the pressure washer. Squeeze the trigger on the spray wand for about 20-30 seconds until all blips from air pockets have stopped and you have a constant flow of water. Pull the wand’s trigger to release pressure from the system and drain remaining water from the hose. Pull the wand’s trigger to make sure the water is removed from the wand and high-pressure hose. Leaving any water inside the wand will cause rust and can damage the unit. An effective way to measure the cleaning power of a pressure washer is to calculate its GPM (gallons per minute) multiplied by its PSI (pounds per square inch). This calculation works because it takes into account both how much water is output and the pressure at which the water is sprayed. All of these machines were labeled with GPM (gallons per minute) and PSI (pounds per square inch). Some user reviews claimed certain units didn’t always seem to live up to their advertised stats so we wanted to test for ourselves. First, we tested the GPM of each unit. Some reviewers actually devised a way to soften the pressure coming out of the spray wand by muffling it with towels and catching all the water being sprayed out with a large funnel. We gave this a shot, but it’s tough to keep that muffle on and tough to prevent water from splashing everywhere. Instead, we decided to use a five-gallon water cooler jug to shoot the spray wand into without losing water to splashing. For each machine, we pulled the trigger on the spray wand for thirty seconds and weighed the water to calculate the true GPM rating. We didn’t have a way to calculate the actual PSI but instead devised a method to compare the relative pressures between the tested models. We started with a kitchen scale, accurate down to 0.05-ounce measurements, and placed it in a resealable plastic bag for protection from water. Then we used a dinner plate and duct-taped it to the bag to prevent sliding and without putting any extra pressure on the scale. To measure pressure, we sprayed each wand at the dish from a distance of 12 inches and recorded the readout in pounds. All of these machines have lower pressure nozzles or settings you can use if you want to avoid damaging paint on your surfaces. However, some people use pressure washers to remove paint from the side of their houses or old fences, so we wanted to test if each unit had the power to accomplish this task. We painted six two-by-fours and let them completely dry. Then, from 12 inches away, we sprayed each block to see if the unit had enough power to chip away paint. If no paint chipped off, we switched to a more powerful tip and moved the wand closer to the block of wood. All units except The Force were able to remove paint to some degree. Some on the lower PSI end could do it but at extremely close ranges and slower rates. This may be more effective if you’re trying to remove old and already chipped paint, but it would have taken hours on a full fence with these weaker units. The gas-powered washers we used had impressive power and were even capable of severely damaging the two-by-fours. These models should be used very carefully to remove paint while avoiding damage to your property. We wanted to know how loud these machines get during use. Noise level is not directly related to effectiveness or cleaning power, but some folks are more sensitive to noise and may have neighbors who could be as well. Since pressure washers are noticeably louder when the spray wand/gun trigger is being pulled, we measured and compared this noise level using a sound decibel meter. 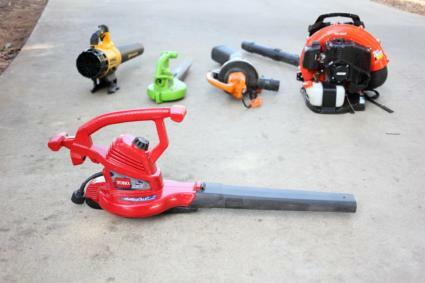 A typical user will stand about five feet from the machine while comfortably pressure washing, so measured noise levels at a five-foot distance from all around the machine to find the loudest areas and recorded the highest decibel output. No pressure washers were ‘quiet’ and we found gas models were 10-15 decibels louder than electric models. According to research on our ear plugs review, the World Health Organization recommends we don’t subject our ears to noise levels over 85db for over eight hours daily. Three pressure washers measured 85db or higher and while most of us won’t be using these for over eight hours in a day, sound levels can fluctuate with distance and wearing ear protection while cleaning is a safe choice. We observed features, product design, and considered all individual components when we used each pressure washer. Parts were inspected visually as we set up each unit and hoses and their connectors stood out as we prepped to wash. It quickly became apparent that not all washers had a hose reel or a way to wrap cords. The only unit with a hose reel, the AR Blue, had a completely unusable design. Some machines had a set of interchangeable spray tips, while two models only had a “cleaning tip” and a weaker tip for pre-soaking or adding detergent. Materials of the spray wands and the body helped with overall appearance and usability. Some spray wands are made of plastic while some have stainless steel on the outside. Some higher quality wands and machines used brass fittings for the hoses. Not all models had onboard detergent tanks, but they all had a way to use detergent. Some units had the bottle suspended on the machine somewhere or the ability to siphon from a detergent bottle on the ground. In addition to “lab-testing” these washers, we also needed to put them up against real-world cleaning tests. We were lucky enough to have neighbors that volunteered their backyards for this (thank you, Next Door) because we simply didn’t have enough grime and buildup to clean just our own things. We cleaned concrete floors, wood decks, both wood and resin furniture, and outdoor tables. This gave us a chance to see how their advertised power rating translated to actual cleaning effectiveness. Going through multiple cleaning sessions let us repeatedly set up, break down, and test portability of these units. 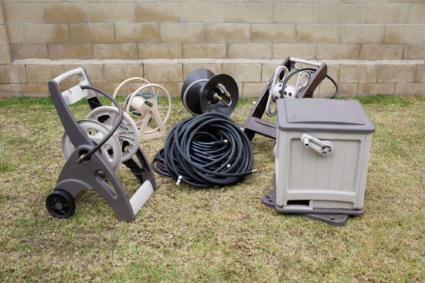 Many pressure washers had unique features like a hose reel, little baskets, spray wand rests, multiple spray tips, and other little features we tried out on-site. We didn’t lug all six washers to each location, but testing out each unit multiple times was sufficient to put it through its paces and get a real feel for cleaning with it. We found the Ivation – IVA-9175L to be the best choice for most homeowners because of its thought-out design, high-quality components and ample cleaning power for light- and medium-duty cleaning tasks. It can even handle heavier jobs if you have the patience. If you’re doing general maintenance cleaning of siding, windows, and furniture once or twice a month, you’ll be very happy with this unit. It was pretty closely tied to the Sun Joe, but the more we used the Ivation, the more it became apparent that the Ivation team put lots of effort into polishing this machine’s details. We mentioned how Ivation polished details on this product, and it first stood out with the spray wand. Setting up the wand on this machine is very straightforward, and it stands out from the other models we tested. 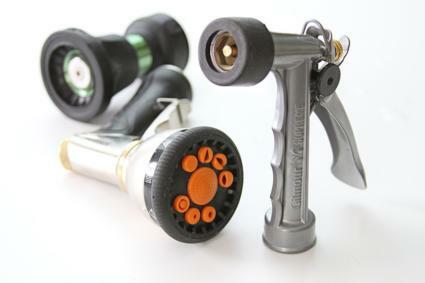 It shares the same press & twist action to connect the spray wand’s handle to an extension, but it’s simply designed better. It takes less strength to set up with less room for error. The Ivation is a very well thought-out maintenance machine that's great for light and medium cleaning tasks. The trigger lock mechanism for this unit is designed very well. There’s a block on the bottom of the spray wand you push over to the other side to lock, which feels very secure. It’s not easy to accidentally release or break this mechanism. Of all the electric models, the Ivation takes the crown for most elegant detergent bottle design. It is the only one with a hidden, built-in detergent container. The Sun Joe had an odd design with two detergent containers loosely sitting within its frame, and the other two machines don’t have built-in containers at all. 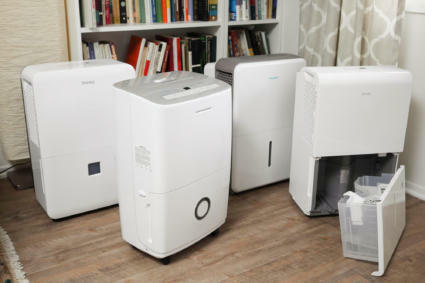 Surprisingly, the water supply connection on this unit is significantly higher-quality than the three other electric models we tested. The others had noticeably poorer quality connections, lower quality materials and more wobbly knobs. The water supply connection can seem like a small detail, but interacting with these things add to the overall experience of using each machine. Cleaning power on this unit was about on par with Sun Joe’s but better than The Force or the AR Blue models we tested. The Force and AR Blue didn’t have options for more concentrated cleaning tips and when combined with their overall lower cleaning power, they were not as effective as the Ivation. The Ivation was able to chip off paint in our paint removal test, but the power was controlled enough to clean grime off a wood deck without destroying it. The particular wood deck we cleaned had not been maintained or cleaned for at least five years so it was pretty caked on, but it would have taken a very long time to finish cleaning with this unit. If you have a wooden deck you want to clean, know that this type of job is more difficult compared to spraying down siding, floors, or furniture. If you were determined to save some cash and would only be doing a large cleaning job like decks once or twice a year you could get it done with this unit, but it will take longer than higher-powered gas units. However, if the majority of your cleaning jobs are smaller, or you just want to do light maintenance of your home’s exterior, this machine will shine. Something odd happened with the Ivation pressure washer when we first used it. It kept getting into odd 3-6 second sprints when the motor would just keep running on its own when we weren’t pulling the trigger. It was a little bit concerning that the motor was running when we weren’t using it. We later encountered this on future uses and it goes away after a minute or so of use, so it seems to happen by design. This power loss occurs with the other electric models too. The only way to really avoid it is to switch to a gas-powered washer. The Ivation – IVA-9175L was the most well-designed electric pressure washer we tested. High-quality connectors, spray wand, and body. Great for light and frequent cleaning jobs. Tougher cleaning jobs like decks are possible but can be slow. If you’re looking to clean surface areas over 100 square feet on a regular basis or need extra power for stubborn stains, then a gas pressure washer will make your life a whole lot easier. Our top pick for gas-powered models was the Generac – 6923. High-quality build and components all around with much more power than electric models. This gas pressure washer is significantly heavier than the electric models because of its metal frame and engine, but it makes up for it in quality. Everything from the frame, spray wand, spray tips, high-pressure hose, and connections on this engine are noticeably higher quality than every electric model we tested. And at over two times the price, we expect it. The stainless steel and plastic spray wand is solidly built and had a high-quality brass connection. It has a strong frame to support the engine, a built-in detergent tank, and large wheels to maneuver over obstacles and up stairs with ease. It feels powerful enough for commercial use as everything is top notch. Power on this gas-powered unit is significantly stronger than all the electric models we tested, without even looking at the numbers. There’s noticeable kickback when pulling the trigger which can be more tiring to use. Since you’ll spend about ¼ of the time cleaning compared to using an electric pressure washer, we feel the extra physical effort is worth it. This power was demonstrated during our paint removal test. Paint started to chip when we used the 15-degree tip, and when we switched to the zero degree tip this machine completely destroyed the piece of wood. So with enough care, you can definitely get out stubborn stains with the Generac and remove chipped paint from tougher surfaces. Despite our team being relatively mechanically-inclined, gas pressure washers, in general, were not as straightforward to us as electric models were. We spent much more time reading the manual on this to ensure we didn’t damage it with the first use. You have to deal with adding engine oil (included) and finding a way to get gasoline to fuel it. This means buying a portable gas can and a trip to the gas station. The levers on this machine just to start the engine are another small hurdle to jump over that electric models don’t have. It has a power switch, a lever for the gas line, and a lever for the choke. Instructions in the manual were very vague about how to use the levers and about which position was open or closed. The choke lever position was dependent on the engine too, which added to the confusion. After studying some instructional videos online, we had a clear understanding of how to start the unit, at which point the Generac became easier to start up. However, there is definitely a learning curve for those who are unfamiliar with gas-powered products. Power on this unit is more than enough to clean siding and large decks. It will speed up your cleaning time by at least three or four times compared to the electric models we tested. It can clean large and stubborn stained items and it has less concentrated wand tips for light duty jobs as well. If you can justify the slightly larger size and the price tag of this it will pay off over the years since its definitely more fun and satisfying to clean with this higher powered machine. One part of the engine gets extremely hot. We read reviews about people melting their high-pressure hoses on the engine when they weren’t being careful. While this is definitely something you should note, it certainly isn’t a deal breaker. The lock on the wand is a flip-out stop, so it’s slightly awkward. While it does work, it’s not our favorite type of lock. It’s loud and it smells. This is going to be the case with any gas pressure washer though. The Generac clocked in at about 10-15 decibels louder than the electric models we tested. Since it is gasoline powered it obviously has an exhaust you have to deal with. Just make sure you keep the doors and windows to your home closed. In terms of power, the Generac – 6923 blows electric pressure washers away. Great for large cleaning jobs. Excellent build quality in the frame, body, and all components. Loaded with features and well designed. It’s loud and the exhaust smells but expected of all gas models. The Sun Joe – SPX3000 was a close runner-up to our top pick for electric pressure washers. This unit, priced very similarly to the Ivation, had lots of pleasant surprises. The first thing we noticed was the build quality on the SPX3000. The high-pressure hose on this felt extremely high quality — we actually thought we mixed it up with one of the hoses on the ~$400 gas-powered units. The hose itself has a fabric-like texture on it with good quality connectors at the ends. Since electric washers are much lower in cost than gas models, we were surprised to see the Sun Joe was the only electric model to feature a stainless steel wand extension and brass fittings. Good cleaning power and high quality components made the SPX3000 a close second pick. Given the build quality of those components, it was very surprising to run into this issue when setting up the machine. Installing the wand storage piece on the unit was extremely difficult. This item is meant to be a rest for the wand when storing it on the unit. You have to maneuver a clip into a lower part of the washer body that requires flexing hard plastic; we were not able to accomplish this after repeated attempts. Installation of the spray gun’s rest required care because there’s a flawed choice in design for all the plastic components on this machine — they’re too sharp. Whether it’s the designer’s fault or a limitation of manufacturing, sharp corners on the plastic parts are everywhere. We cut ourselves several times during normal usage of the Sun Joe – SPX3000. We were also disappointed to have to stop and find a screwdriver to complete the initial setup process. You need a particularly slim screwdriver to fit into one of the parts too. This unit leaked a bit after we plugged the power in, which we realized was our fault. So, carefully as to not give ourselves another cut, we had to tighten the hose for the water supply connection which felt a bit cheap and squeaky. 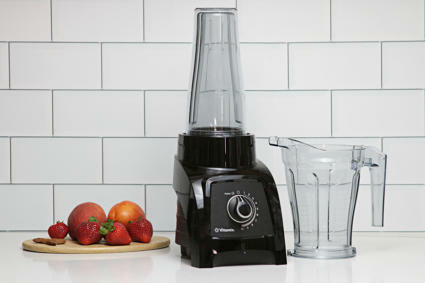 This machine has two pressure modes just like a few of the other electric units we tested. One is for normal, high-pressure cleaning and the second is a low-pressure mode, likely for just pre-soaking areas. You activate by pulling the trigger twice and holding on the second pull, although just like the other electric models, this can take some experimenting to figure out. In the paint removal test, the Sun Joe showed that it can’t really remove paint. It performed better than The Force and AR Blue, but it was not really effective if this is something you’re looking to regularly do. Just like the other electric pressure washers we tested, this unit gets into some dips where it just loses all pressure and you have to wait for it to build back up. This is still a pretty good pressure washer overall, and it cleaned just as well as the Ivation did. The Sun Joe as a whole has a disconnect in the whole package: the main body felt cheap, but all the components that hook up to it felt higher in quality. But given the tradeoffs we’d have to make on this unit, it couldn’t take first place. The AR Blue – AR383 was the first machine we tested and it was an interesting way to start. It’s the lowest priced machine we tested and it gets the job done, but its shortcomings became very obvious once we saw what the other machines had to offer. For example, switching out the spray wand tips on this machine is by far the most frustrating. It requires more force than the other finalists to do, and it was designed in a way that the tip can be on but you still don’t know if it’s in the locked position. This brand was the only to offer a slick looking reel for the high pressure hose. Unfortunately, this feature is nearly impossible to use without getting stuck. The design of the reel exerts extra pressure by bending the hose, and once the hose gets in a bit of a tangle the reel is basically useless. It would have been a far better experience if they completely removed this feature. On the front, you’ll also notice a feature only the AR Blue had: a quick-release water supply hose connector. 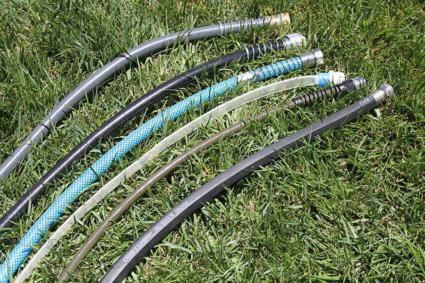 This never really was something we needed to use, and seems to be only helpful if you plan on having a hose dedicated for your pressure washer. This is an interesting idea for those who need it, but the connector also feels very low-quality. 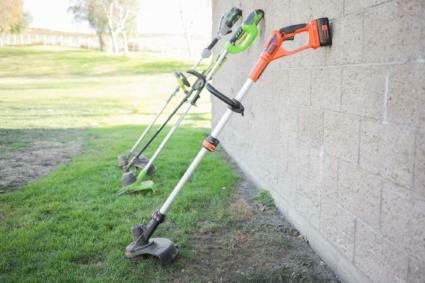 It performed well in our real-world tests, removing dirt and grime in a neighbor’s backyard. It has no options for different cleaning tips, but likely because the lower power of this machine wouldn’t take advantage of them. For tougher stains, we had to move the tip closer to the surface and wait a bit longer. The power on this machine is fine for light cleaning tasks on siding, concrete, and furniture if you’re on a budget. But if you can spend just a little bit more you have lots of better options. We thought we were shipped the wrong item when The Force – 1800 arrived in the mail. It’s by far the smallest pressure washer we tested. But let’s not base our results only on the size of this machine. In our own power measurement tests, this machine ranked the weakest. One thing that concerned us about The Force was water drips out the back when you remove the water supply hose on this unit. It seems dangerous because water just sprays into the open grates on the back of the machine. We don’t know if any exposed or electrical parts are in there and we’ll just give the company the benefit of the doubt for making this design decision. Another issue, which we noticed on the Ivation only during the first minute or so of use, was that The Force repeatedly loses pressure while you use it. You have to basically stop using it and let the motor build up pressure before you can get usable cleaning power from it. This can quickly become a nuisance. The wand attachment system is a little better on this one than the AR Blue, since you can see when the wand is pressed in or rotated enough to be engaged or disengaged when swapping out. The lock mechanism on the trigger is difficult to accidentally engage or disengage almost to a fault. Overall, this pressure washer feels lower in quality than the others. The other electric models are made of mostly plastic too, but it really stands out on this machine, to the point of being almost toy-like. There’s a glimpse of hope for higher quality parts with the water supply hookup port, but it turned out to be just chromed plastic and not a stainless steel part. A unique feature of this machine was its high pressure hose. It’s the only one we’ve been able to just push in to attach with an auto click and lock system. Perhaps the others have more solid designs because of the higher power they provide. Ironically, this machine didn’t generate enough force to chip any paint off the board in our test. The Force – 1800 is really only designed for the lightest of cleaning jobs. 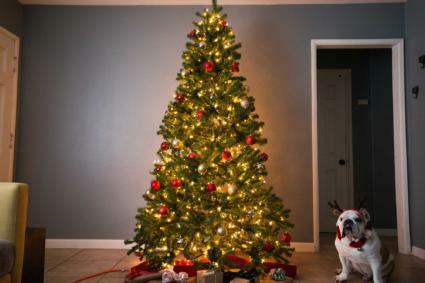 It feels a bit too low quality if you plan to use it more than say, once a year and should only be considered if saving space in your garage is the top priority. The SImpson – MSH3125-S made a good impression right out of the box, but ended up being the runner-up for gas-powered models. Its design, build quality, and components were all excellent. We ran into a bit of a snag which may or may not be representative of all the units made by Simpson. When we used the machine for a second time, we noticed a liquid puddled up near the motor. Gasoline leaked out of the machine. Not wanting to risk a fire or explosion, we called Simpson support for help. We were informed the engine on this pressure washer was made by Honda and that Simpson couldn’t provide help, and they didn’t seem particularly interested in customer satisfaction about it neither. So we called up Honda, and they had us take it into an authorized repair center. Powerful cleaning capabilities and high-quality components impressed us, but an uncommon technical snag made this our runner-up. The repair center diagnosed it as a carburetor leak and would not work on it until they got the clearance from Honda to service it. After about a week, a Honda representative stopped by to inspect the motor only to discover the issue had disappeared. Like the Generac, it has a high quality spray wand with a stainless steel extension. This one comes with five spray wand tips for a variety of cleaning tasks. All the hose fittings are made of high quality brass for secure connections. Although our tests measured slightly less power on the Simpson compared to the Generac, we were unable to tell the difference in real-world cleaning. It had enough power to chip paint off in our tests, and enough power to clean outdoor furniture, decks, and concrete floors in our testing. This unit had considerable power which was good enough to handle just about any cleaning task at home. Extra points went to this unit for its low profile. During the warranty work trips, we were able to fit this washer into the trunk of our sedan with the handle temporarily removed. When transporting the Generac we had to stuff it in the back seat and hope the seat fabric didn’t tear. We also loved the design of the cord holder and the spray wand rest on this, which made it very tidy when not in use. We did notice this unit slowly rotated as it vibrated during use which can be annoying, requiring repositioning to avoid melting your hoses. You also have to be careful when rolling it around since the frame hits your feet unless you pull the unit to your side instead of behind. Overall, the Simpson is a very good machine. If it weren’t for the gas leaking incident, we may have been able to overlook its quirks when comparing to the Generac. There is definitely a big range in quality of pressure washers within the same price range. Despite all being positively reviewed by consumers, we definitely noticed usability and quality variances between products. All the units we tested can get the job done, but our top picks made setting up, cleaning, and storage much more enjoyable. Our top pick for electric washers (the Ivation) and our best pick for gas models (the Generac) were solid performers. They weren’t designed for the same types of jobs. If you need a machine for light cleaning around the house and only the yearly tough job, the Ivation will suit you well. 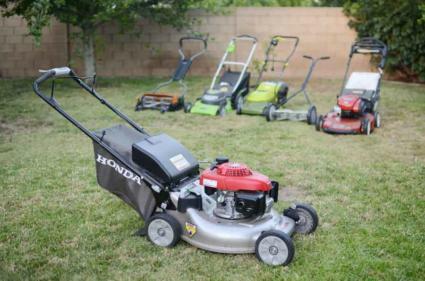 If you are constantly in need of more power from these machines, a gas one will be the way to go. 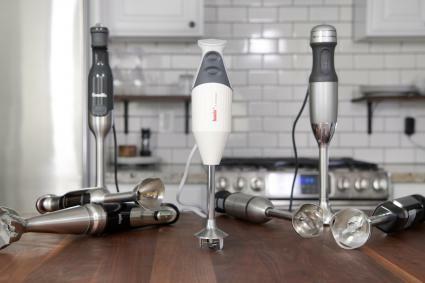 They’re pricier, but also have much better build quality and power to handle any home cleaning job you throw at it. A well-designed, low-maintenance machine with great cleaning power.